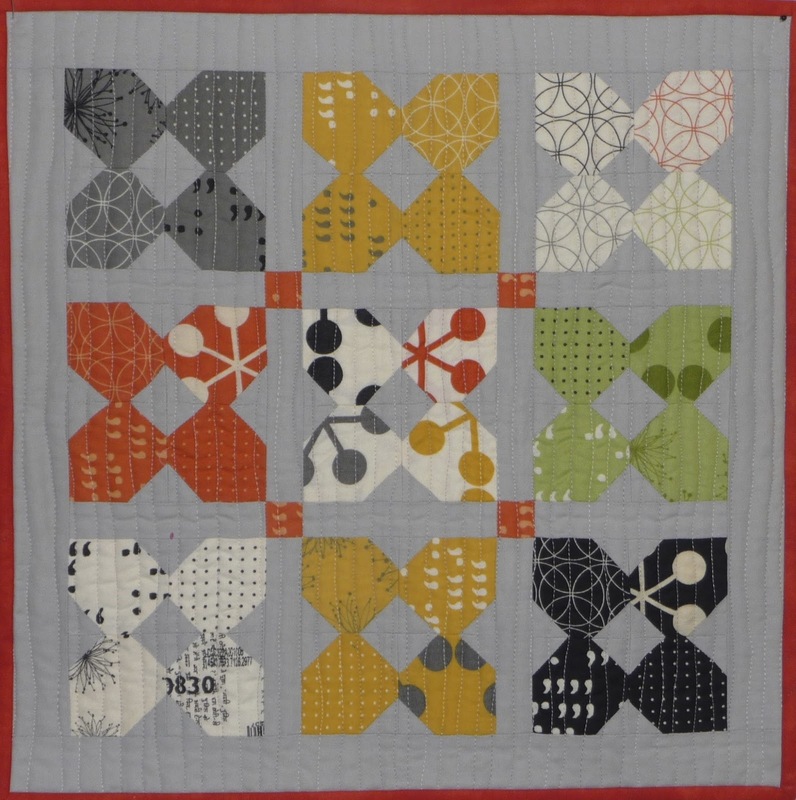 The pattern is Sherri's (A Quilting Life) February pattern in her Simply Small Quilt series. I had the comma mini charm pack lying around and started the project almost immediately after I saw her blog post. Less than a week later and it's done! The joy of a mini quilt! Almost instant gratification! I was going to do straight line quilting, but after some unpicking decided organic lines were much easier to hide imperfections more in keeping with the pattern! Fabric : Comma mini charm pack, Kona Ash, Kona Tangerine (I think) for the binding. Nice! Simple but lovely. I love the quilting lines.. great job! Nice hopping here from needle and thread thursday! Mini quilts or wall hangings are always nice to make - especially if you are short on time. Yea, who likes straight line quilting anyways? I love the comma set against the gray. What imperfections?? I didn't see any. I think the wavy, organic lines give the quilt more movement than straight lines would. Great choice. What a funky little project! I agree with the more organic quilting, very nice finish. that is a wonderful little mini, and organic quilting is my favourite kind! Super cute!! I agree - organic lines are so much easier! !